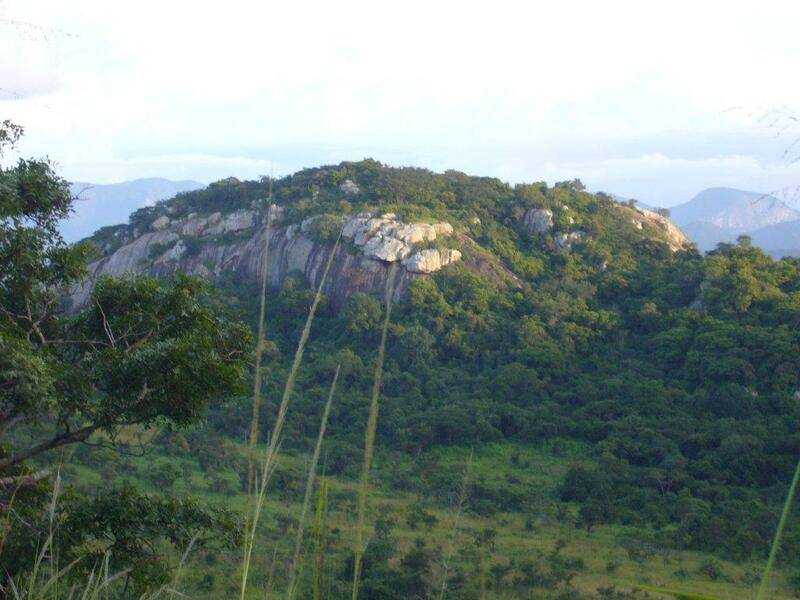 Murahwa’s Hill has a unique combination of cultural heritage and indigenous flora and fauna given its location visa-vis the prevailing moisture-bearing winds. Over the years an extraordinary number list of trees and birds has been recorded. There are traces of early hunter-gatherers at the site and on the south-western part of the hill there is an early Iron Age settlement of the Ziwa Period (200-400 AD) with a ruined stone-walled settlement higher up that may be associated with the Rozvi Dynasty in its upper levels (late 17th century). The hill is named after a Manyika village-head who was the last local occupant of the site. There are more recent villages of Headman Murahwa who lived here before relocating further south in the Save Valley. 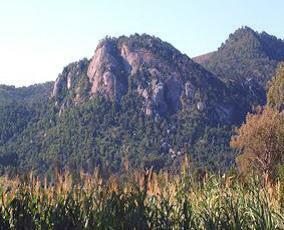 The hill lies at the base of Christmas Pass on the western edge of Mutare. Traditionally it was protected in the past as a place of spirits, while latterly the ravages of seasonal fires have been prevented hence the maturity of the many indigenous trees and the unusual variety of micro-environments present. Over the years an extraordinary list of trees and birds has been recorded. More than 132 species of trees have been recorded on the property – an exceptionally rich assemblage for such a small area. These comprise Eastern Highlands and Middleveld species, as well as broad range of vines, fungi, mosses and ferns. The diverse micro-habitats include closed canopy evergreen forest on the wetter eastern slopes to drier deciduous woodland on slopes facing Christmas Pass. The rocky exposed slopes, ravines, watercourses and granite outcrops all contribute to the diversity of habitats. It is estimated that the larger forest trees are at least 150 years old. Bird species include the Silvery-cheeked Hornbill, Trumpeter Hornbill, Livingstone’s and Purple-crested Louries (Turaco’s), Tambourine Dove, Golden-rumped Tinker-barbet, Yellow-fronted Tinker-barbet, Whyte’s Barbet, Gorgeous Bush-shrike, Red-capped (Natal) Robin-chat, and Jameson’s Firefinch. 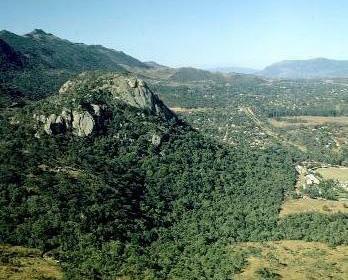 Over 200 of Zimbabwe’s 500 species of butterfly are known from Murahwa’s Hill. In addition there are many moths, beetles and dragonflies and much observation and research remains to be done. One can almost hear the chattering of little children and the wisdom-filled murmuring of the elders as they sit beneath the trees and on the surrounding rocks in dappled sunlight sharing hunting stories and waiting for the night fires to light up before an evening under the stars; exchanging ancient traditional lore and planning the next day’s hunt. This is an important place and is respected for the wealth of history it holds, albeit unwritten and perhaps mostly based on assumption and imagination, as there is no record remaining from when the Hill was inhabited by the Ziwa 200-400 A.D., apart from the pottery findings and other remnants from history. Rich in birdlife and carrying an abundance of indigenous trees, as well as butterflies and other insects Murawah’s Hill is a small sanctuary and natural memorial to the tribe’s people now lost in history. We owe it to their memory to preserve it and respect it as they would appreciate it. An Educational and Interpretative/Educational centre is planned for site. The design of the centre is based on a traditional African meeting place, with open sides, thatched roof, timber poles and an open amphitheatre. The display themes will include: Early history – Stone Age, the Stone Ruins, flora and fauna and the geology of the area. At the fuel filling station as you enter the outskirts of Mutare City on the road from Harare, after crossing over Christmas Pass, turn right and after one kilometre, the entrance gate is signposted on your right just before the Mutare Agricultural Showground. 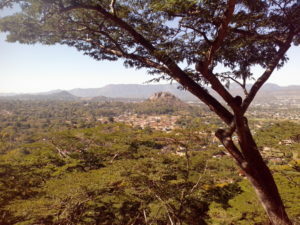 Murahwa’s Hill is open to the public every day. 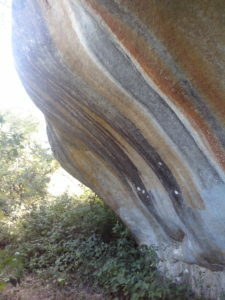 Age, The Stone Ruins, the recent pre-colonial past, flora and fauna and the geology of the area. and the eastern Highlands. Access to the site is excellent. significant Cultural Heritage and History of the site. 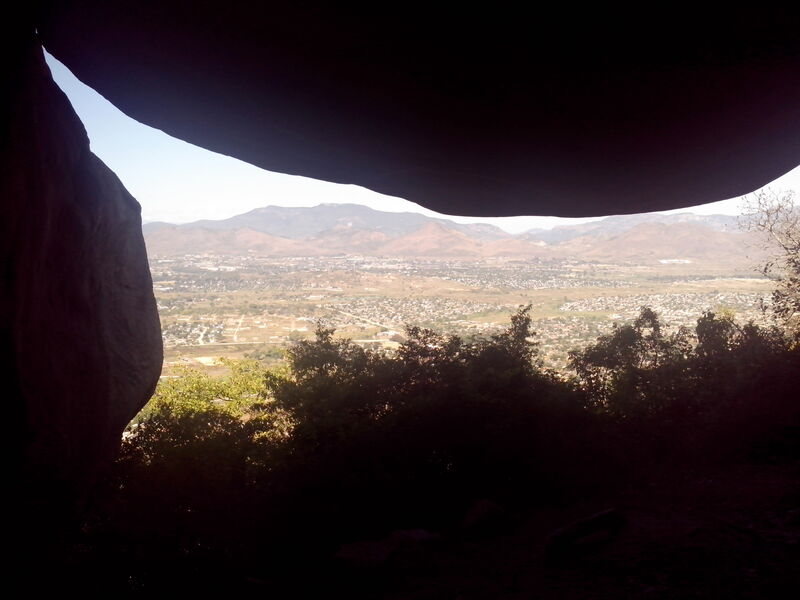 and raise local archaeological awareness through community outreach and involvement. Unfortunately the property’ situation has not progressed, through lack of funding. A lot of the property has been degraded by unauthorised access and theft of wood etc. The plans for a small interpretative/cultural centre, aimed primarily as an educational facility, have been completed. This plan, in conjunction with the National Museums and Monuments of Zimbabwe should secure the property for its long term well-being for the benefit of the people of Zimbabwe. The NMMZ are currently in the process of declaring the property as a National Monument which should help towards protecting and them developing the property for the schools of Mutare and the district. Eastern Highlands Tourism Expo You are cordially invited to visit the National Trust stand at the: See you there!